Sharing five random thoughts while still awaiting warmer weather…. 1. 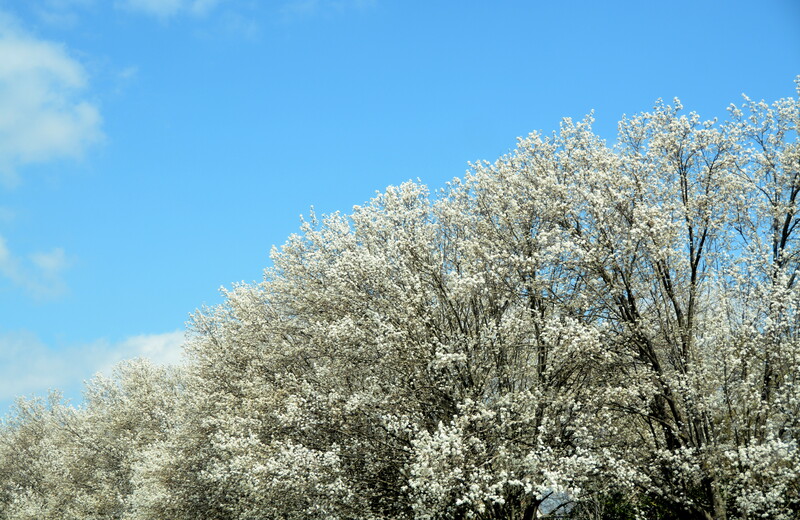 At least the Bradford Pear trees know it’s spring. 2.) I’ve always loved Garfield. What’s not to love? A feline…with a June birthday. I thought this strip from earlier in the week was really special. 4.) And what’s this? No pictures of our kitties on the blog this week? Well, we’ll just have to fix that ASAP! 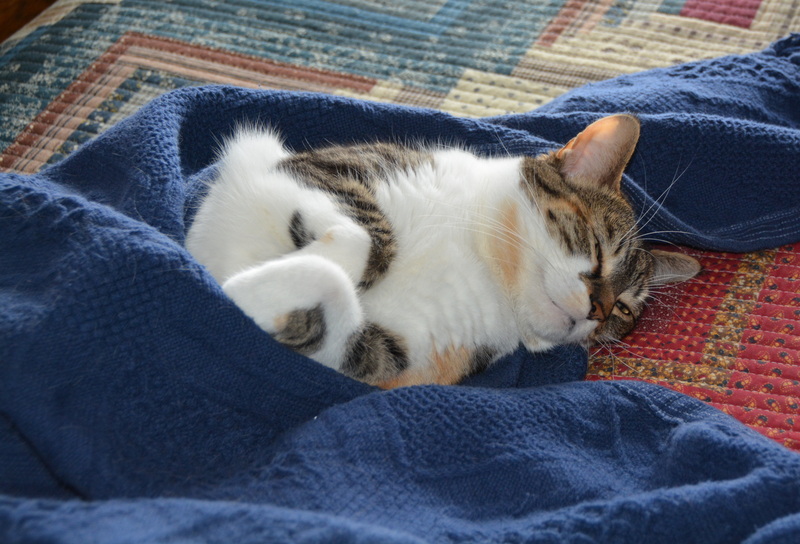 Presenting Sundae, all snuggled in her little cocoon, doing her best Chessie impersonation with the glint in her eye. 5.) 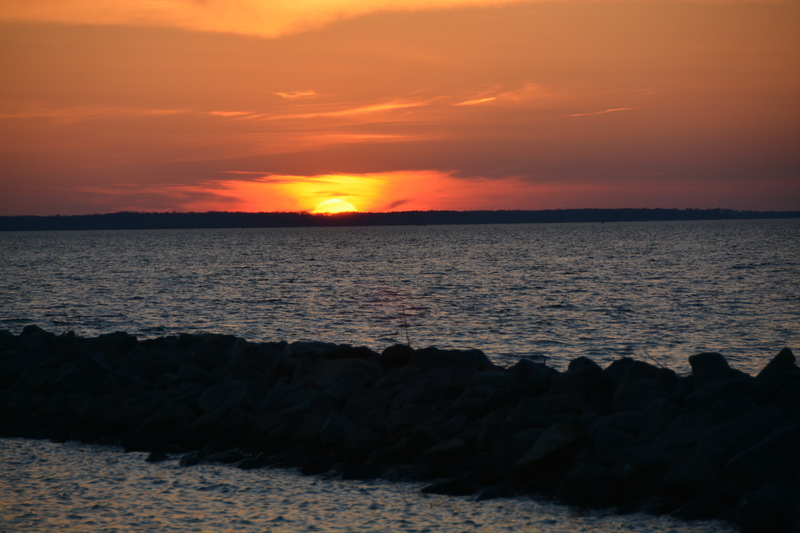 Motor Man and I ran an errand in Newport News yesterday and were heading home at sunset. This necessitated a stop at the park for a picture. Happy weekend, everyone…..a rainy forecast for us. 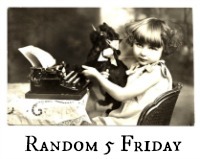 Joining Nancy at a Rural Journal for Random Five Friday.